The new AVerMedia CM311-H is a 1080p 60Hz HDMI frame grabber that uses the power of the AVerMedia Video Engine to reduce platform loads in the industrial and commercial market. The AVerMedia Video Engine performs various image tasks such as frame rate conversion, de-interlacing, and output scaling without affecting the computing power of the platform it is used in. 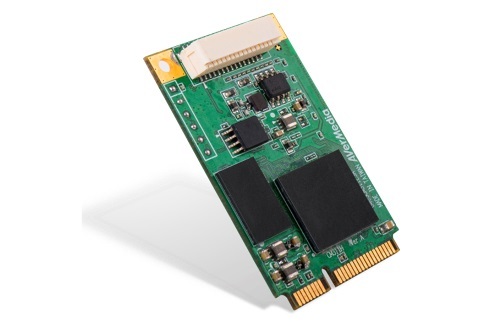 The rugged build and functionality of the CM311-H allow it to integrate seamlessly in data recorders, medical imaging devices, machine vision platforms, and other industrial imaging applications. The CM311-H captures video at up to 1080p60, this makes it capable of handling the most demanding video capturing applications, while delivering incredibly crisp video. The CM311-H was developed with rugged systems in mind, that's why the compact size of the integrated heat sink, and flat connector (HDMI 1.4a) make it perfect for integration in embedded systems such as industrial machines, in-vehicle, and military applications. The SDK Preview version is now available for free and allows a look at the tools offered in the full AVerMedia SDK Pro, and is an excellent tool for developing video applications. The SDK Pro comes with sample code in VB.net C#, VC++ and offers commercial and industrial customers a complete set of functional modules to efficiently develop vertical applications. Visual Basic, and Delphi code is available on request.